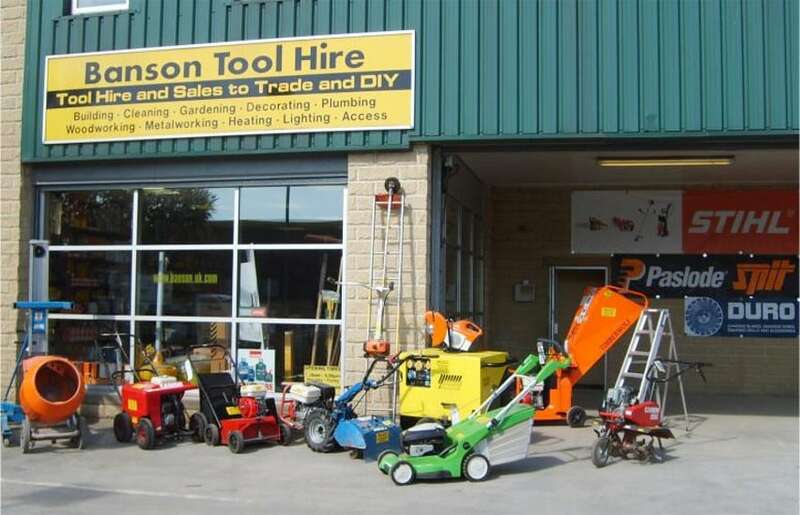 Banson Tool Hire is a leading independent in Yorkshire and Lancashire, with a large range of tools for hire across 10 branches. 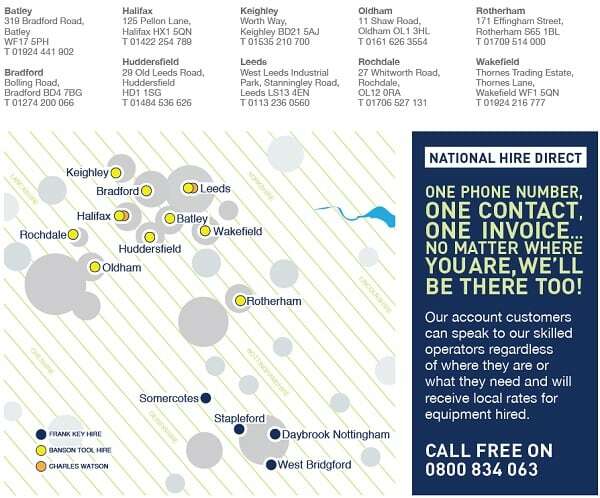 Alongside the branch network, a National Hire Direct service is provided to account customers to source equipment when working in other areas or for specialist or large equipment not stocked in branch. In the short term, Banson Tool Hire will operate independently of the Frank Key Hire and Sinbad branches. However, if you have an account with the group, a Banson account will be opened for your immediately to enable you to use these branches when working in their areas. Charles Watson stocks recognised branded products for a wide variety of product ranges including Security Products, Keys & Locks, Architectural Ironmongery, Door Furniture, Tools, Fixings and General Hardware. The company serves a wide variety of trade and DIY customers through both branches and the website. At the head office in Halifax, there is a contracts department for specifications and scheduling. We are passionate about our products and committed to helping you find the best solution for the job. Whether you’re looking for a single doorknob or specifying an entire site, we provide the same high standard of service and advice. 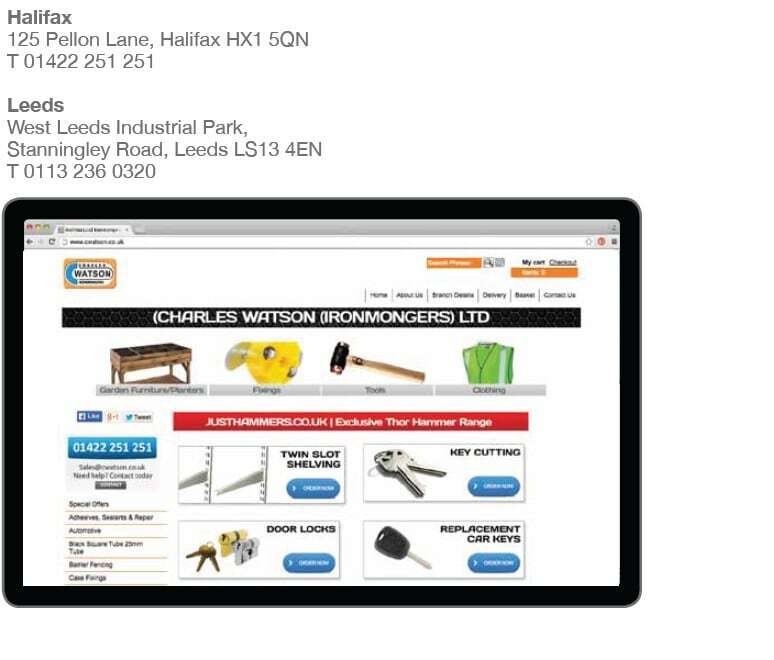 As with Banson Tool Hire, the company will continue to be run independently in the short term, but any account holders at Frank Key can have an account opened immediately on request.